history of virtual assistant | Virtual Assistant Inc.
Just like any other profession, virtual assistant has its own rich and colorful history to boast and share to the world. Its beginnings started from secretarial services during the forties; in fact it would be safe to call secretarial services as the mother of virtual assistance. However, throughout the course of its own history, virtual assistance strives to create a distinction from its “mother” making it a separate profession yet belonging to the same umbrella category. Collectively they are called administrative professionals. From their separation, thence, virtual assistance has grown and advanced further until now and has become the global preference of businessmen, not only a fad but a growing standard in its own right! This is the birth of a profession that became a worldwide phenomenon and permanently changed the world’s view on business outsourcing. It all begun in shorthand, when Sir Isaac Pitman in the early 1800 invented the shorthand method and founded the first school for secretarial services. Only men are admitted at that school and they were the only ones who can perform the said tasks given the political climate during those days. Well, during those days women are confined only in doing household tasks. 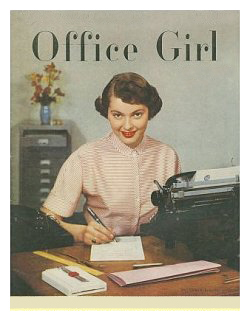 Not until a decade later when typewriters were invented that only then, when women can join the industry. And around 1930s, the number of men in the secretarial services started to nail down. In the year 1942, the National Secretaries Association was born. It was founded in order to foster professionalism among secretaries in the US. And less than a decade later the first exam called Certified Professional Secretaries, was administered. The CPS Examination is a three-part exam, covering the areas of office technology, office systems and administration, and management. More than 66,000 people have achieved this rating since 1951. It was in 1952 that a special day called “Secretaries Day” was created which later in the year 2000 changed to “Administrative Professionals Week”. The move was made in order to recognize all individuals working in the field with different title names. Nearly three decades later, the National Secretaries Association was renamed Professional Secretaries International. Six years after, the Professional Secretaries International was then renamed as International Association of Administrative Professionals. Anastacia “Stacy” Brice began working virtual as a full time home-based contractor with an international client providing administrative support, travel planning and personal assistance. Back those days, the most prevalent medium through people may do administrative assistance from a remote location is with the use of telephone and fax machine. It was only in 1994 that the internet was utilized in assisting businessmen from a distant area. The term “virtual assistant” was born in 1996. It commenced from a simple conversation between Anastacia Brice and life coach Thomas Leonard when the latter coined the term while having phone conversation with the former. With the idea already in Brice mind, she borrowed the term to name the new emerging profession. And in the next year, she witnessed how the profession was formalized. It was in February of 1997 that the event happened when Anastacia Brice opened the first organization for virtual assistants called the AssistU. The organization still in to being up to now. The succeeding years until today witness many more developments in this profession. In 1999, international virtual assistants association was formed in order to respond to the growing number of people involving in the business and just like any organization it will help represent the profession to the world. Virtual assistance has grown and departed from the bosom of its mother profession and created upon itself a unique distinction that marked its identity to the world. From being simply a sub-category of secretarial services, it equaled the profession, and yet later surpassed it in measures beyond what the mother profession could offer. Today, the work of a virtual assistant is getting more in demand in the business world as more businessmen prefer the services of virtual assistants than hiring a personal secretary for two economic reasons: hiring a virtual assistant is cost effective, and efficiency of work is more possibly achieved.